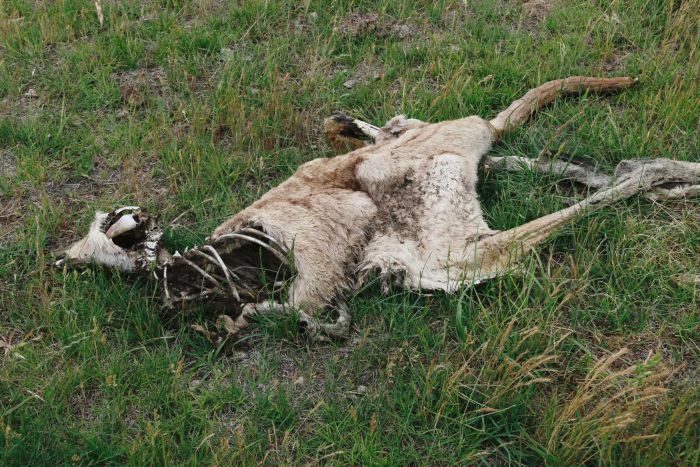 Culled kangaroos used to lie rotting on Martin Royds’ drought-parched fields. Now, they’re on his dinner plate, and experts say it makes sustainable sense. 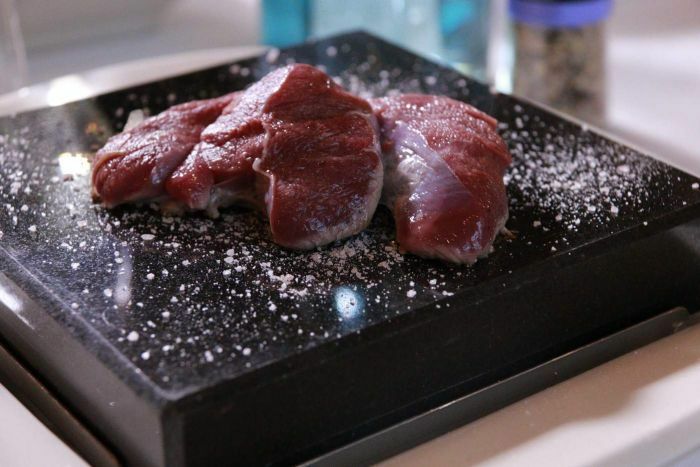 Frustrated by the waste of killing dozens of kangaroos, Mr Royds teamed up with an Indigenous chef to encourage others to turn animals they’re forced to shoot into a meal. 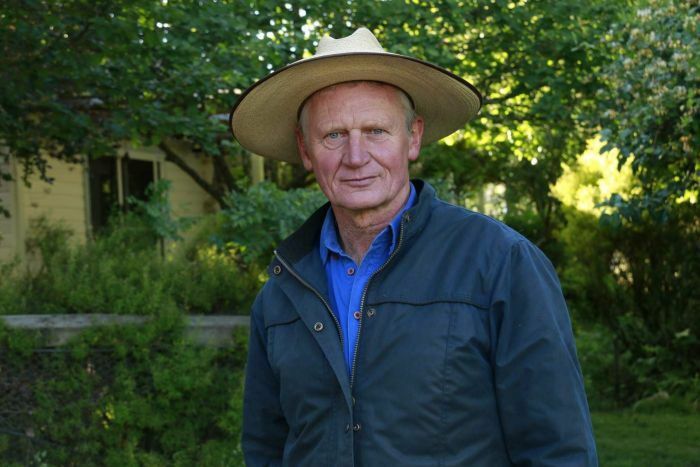 As drought has worsened over the past year, so too has the problem of kangaroos invading Mr Royds’ land and competing with his cattle for increasingly patchy greenery in Braidwood, forcing him to destock. Through a hole in his fence he estimates 150 kangaroos invade his farm each night. Until recently, a law required farmers to “shoot and let lie” after privately culling the animals. This resulted in masses of rotting carcasses littered around farms that were not allowed to be touched. But as part of the NSW Government’s drought package, farmers can remove the dead animals, and even harvest their meat. “If I could, I’d farm kangaroos, but at the moment, we get 65 cents for kangaroo, and I can get three-to-five dollars for beef,” Mr Royds said. Without demand to sell the meat, he teamed up with Indigenous chef T-Bag to learn how to skin, cook and eat the animals he’s forced to cull. With T-Bag’s help, Mr Royds hosted a cooking class to teach his fellow farmers how to best use kangaroo carcasses. Baking traditional hot rocks at temperatures of up to 400C, T-Bag skinned, seasoned, and seared the meat in front of the crowd. “Healthy, heart-smart, sustainable,” T-Bag said. “We can skin it, bake it, just like you would a leg of lamb. Stuff it with your garlic, your rosemary, whatever. Mr Royds, who supplied the culled kangaroo meat for the cooking class, was buoyed by the farmers’ response. “I feel much better now that we’re harvesting the kangaroos and eating the good bits, and also composting the other pieces and making good fertiliser,” he said. The International Union for Conservation of Nature’s Dr Rosie Cooney praised Braidwood’s use of Indigenous knowledge to better value the native species. “The idea in a protein-starved world that we leave these animals lying around just to rot is really horrendous,” she said. “If we want harmony, in Australia’s farming landscapes, between kangaroos and farmers, then we need to find ways for farmers to get real benefits from kangaroos, so they don’t just see them as a pest, and have to shoot them to lie and rot in the paddocks, which is a really tragic situation.